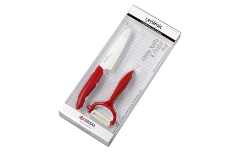 Kyocera ceramic knives and peelers have many advantages over traditional steel cutlery. 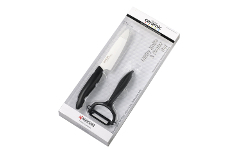 Sharper than most steel knives, these ultra-hard, ultra-sharp knives from Kyocera Ceramics hold their edge longer than steel, and they can last for years without sharpening. 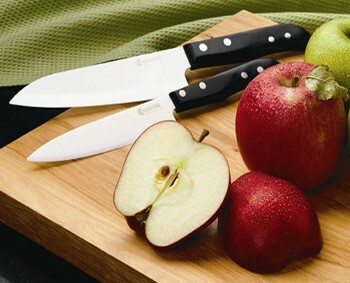 Ceramic knife blades have no metallic taste or smell, and they are stain-proof and rust-proof. 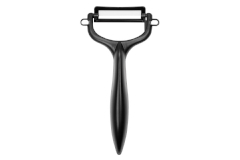 Their nonstick ceramic surface makes them easy to clean, and their light weight and perfect balance make them a pleasure to use.